Currently, the issue of signing Bilateral Investment Treaties (BITs) is stirring up an international discourse on whether the State should yield to existing internationally or regionally recognised BIT models or to develop its own model. In the perspective of international investment law, BITs seem to be moving the ball forward, and, as a result, some countries have decidedly designed their own BIT models. Admittedly, Bilateral Investment Treaties play a significant role in attracting direct foreign investment and ensuring protection of foreign investors, but countries don’t want to yield unthinkingly to certain standards and practices that might be unrealistic to their needs and priorities. And, of course, as society evolves, standards of BITs, too, must not be applied statically. A perspective of dynamism is worthwhile. It is indeed true BITs typically presented as vital risk-mitigating instruments providing foreign investors with credible commitments that their assets will not be expropriated, discriminated against, or otherwise maltreated post-establishment. Many States now, especially from the West, have a tradition of influencing developing countries where they want to invest to subscribe to their BIT models irrespective of being unrealistic to their context. As a consequence, some of the developing States have designed their own BIT models rather than subscribing to rubber-stamp BITs. 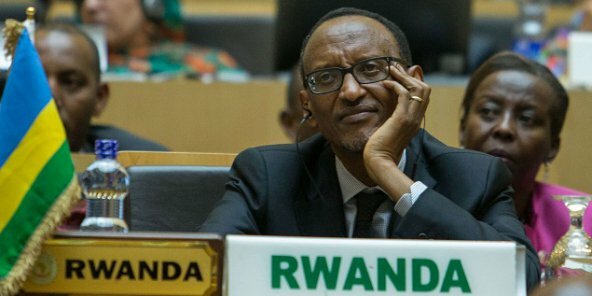 Rwanda, as well, in one way or another, is a victim of rubber-stamp BITs, and thus it’s imperative to design its own model aligned with national priorities, as well as mutual benefits. In fact, credible studies have recently shown that signing BITs doesn’t have statistical impact on investment flows. Here, there’s a need for further study if signing BIT is always translated into growth and development. A great number of studies and surveys indicate, however, that a big number of foreign investors doesn’t appear to take BITs into account when determining where – and how much – to invest abroad. Central questions are: do all investors need BITs anyway? Are BITs more advantageous than having a conducive investment climate? The fact that some countries have designed their own models of BIT, Rwanda, too, should align its own model with domestic investment opportunities. Alternatively, the country can embark on a more conducive investment climate, rather than BITs. An interesting question is: what makes investment climate more attractive? As once noted in this column, to make investment climate more attractive, there’s a need to keep up improving quality of foreign exchange; investment incentives; quality of land and labour force; governance; government administration and management of the regulatory process related to commercial activities; legal and judicial frameworks and their ability to properly settle disputes (e.g. use of arbitration or ordinary courts of laws), and enforcement of contracts; and the quality of both the physical infrastructure – power, transportation, Internet and water – and institutional infrastructure educational and banking systems and civil society organizations. Among developing countries, Brazil is a good example that never signed and ratified any BITs, regional or multilateral investment treaties. Nevertheless, it has been very successful in attracting foreign investments over the last couple of decades, and remains among the most attractive investment destinations for multilaterals. South Africa as well is withdrawing from all BITs though it had considerable pushback. Nonetheless, it hasn’t retracted its stance. There’re two major drawbacks of BITs both related to customised legal principles. First, an investor’s repatriation of investments and returns and compensation for losses. When a country changes its policy and laws that would adversely affect investors, they may decide to repatriate their capital and then invoke arbitration clause seeking compensation. Once a country changes its environmental laws for legitimate reasons, for example, and then affect investors’ businesses, they would be entitled to compensation. In my view, this is demonstrably unfair to the host State. As such, some of developing countries have been very skeptical to go along with BITs. In case of any sudden change, and investors repatriate their capital, the host State may face an economic meltdown. Second, most of investment treaties envisage an arbitration provision for dispute settlement. Normally, a BIT divides out two possible roles of a State-State [Contracting Parties] dispute settlement system: a State claiming damages on behalf of an investor for an alleged breach of the BIT; and a pure dispute between the Contracting Parties themselves over the interpretation or application of the BIT. However, an investor can equally initiate arbitration against the host State. And, this is a powerful weapon of BITs. Besides, the costs of arbitration are astronomically high; and these costs go, most likely, to the State. The other thing is an interpretation of BITs which is very uncertain. Commonly, BITs are interpreted in disfavour of the State. And at times they’re interpreted in accordance with customary international norms. Such interpretation would be quite bizarre, and risks oftentimes go to the host State. In a nutshell, the underlying issues in this point are two: disputable international customary rules to BITs and the language used. Despite these challenges, if Rwanda clings to BIT approach, its scope should be limited to that specific BIT. Alternatively, like I said, it can embark on a more attractive investment climate in lieu of BITs.